Did you know that the blood banks always run low during the weeks following a long holiday? As part of our commitment to contribute to the community, PU Corporate Communications in collaboration with AMSA PU will be coordinating a blood drive after the CNY holidays. 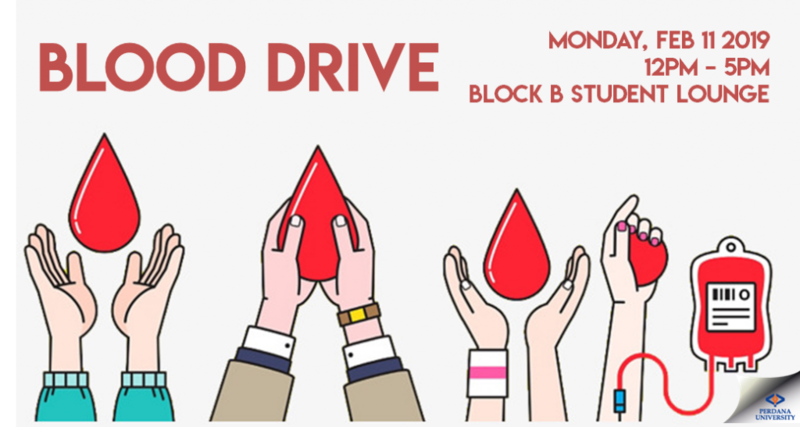 The National Blood Centre will be setting up their mobile station in the Student Lounge, complete with light refreshments to refuel after the donation. Let’s share in the prosperity, give blood and save lives. The event is open to the public so feel free to invite your family and friends to join in. See you all there!